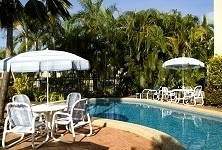 Comfortable, tropical by design, offering self-catering rooms at a very affordable price. 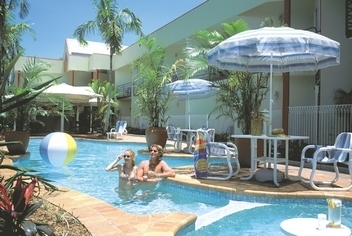 Located within easy walking distance to the Cairns Esplanade waterfront, convenience shopping, numerous restaurants and City CBD, the Tropical Queenslander offers inexpensive accommodation for singles, couples and families. The property boasts two swimming pools, Austar / Fox Sports TV, guest internet facilities (WiFi), barbeque areas, reception/tour desk and daily mini room tidy is provided. Experience the casual and rewarding lifestyle of the tropics. 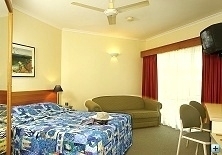 The classic aussie family motel room with the added bonus of a kitchenette & dining area. Private facilities include shower only or shower above bathtub. Room mini service is provided daily. Most rooms feature a balcony or garden terrace. The classic aussie motel room with the added bonus of a kitchenette. Private facilities include shower only or shower above bathtub. Room mini service is provided daily. Most rooms feature a balcony or garden terrace. Reception is open daily from 730AM to 800PM. For Late Arrivals In advance of your accommodation booking check-in date please contact Queenslander Hotels reception staff between the hours of 730AM and 800PM by phone (+617 40510122), fax (+617 40311867) or email (res@queenslanderhotels.com.au). Upon confirmation of your reservation you will be advised of our late check-in procedure. Children Stay free of charge if using existing bedding. Children age 0-14years inclusive. Free on site car parking is available. If travelling south bound into Cairns along the Captain Cook Hwy from Palm Cove/Northern Beaches & Airport, upon entering Cairns City, (North Cairns) along Sheridan Street, drive past the Toobruk Memorial Swimming Baths on your left and take the 3rd left exit into Mckenzie Street. Follow through to the roundabout and exit right into Lake Street, the Tropical Queenslander will be in view to the right and approx 80metres drive further along (heading south) the Cairns Queenslander Apartments (to the drivers right) will come into view opposite the Mercure Harbourside Hotel. If travelling north bound on the Bruce Highway, when you see the Sign Welcome to Cairns follow directions to the City Centre & Esplanade. Continue along Mulgrave Road and then left onto Florence Street. You will pass through 4 sets of traffic lights and then at the first roundabout turn left onto Lake Street. Five blocks further North you will see the Cairns Queenslander Apartments located on the left hand side immediately after Charles Street and opposite the Mercure Harbouside Hotel. Tropical Queenslander is only 80metres further North also on the left hand side. The Wet Tropics Rainforest World Heritage Daintree, Cape Tribulation and beyond. Wildlife And Cultural Theme Parks Cairns Tropical Zoo, Nature Parks and Tjapukai. 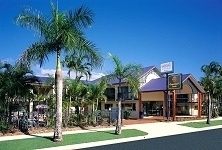 Cairns And Northern Beaches Visit botanical gardens, Palm Cove and much more. Self drive car hire or day tours. Adventure Experiences Rafting, Fishing, Parachuting, Balloning, drive an ATV, Warbird Adventure Flights - Just a few options!! !